New Years resolutions typically are a promise one makes to them self to complete an act of self-improvement or kindness to others! This tradition that dates back over two thousands years seems like such a noble idea with great intent yet recent studies show that 90% of Americans fail at the resolution they make each year on January 1. It seems that self-betterment should be at the top of everyone’s to do list and a task that should be easily carried out due to the fact that you are the direct beneficiary of it. Why wouldn’t you want to improve yourself and reap the rewards? This seems to be an issue of self-discipline and accountability and far too often we choose the easy way out instead of the path most serving to us. So in 2014 I challenge you to step up to the plate and take responsibility for yourself! Do the right thing an honor your self-made pact! You wouldn’t want to deceive yourself would you? Besides who doesn’t like to look out for themselves? This is an opportunity for you to carry out something that you chose to commit to that will directly impact your quality of life and well being! So start the New Year off right by caring for yourself in the manner that you decided! You can do it for you! This entry was posted in Education, Inspiration and tagged 2014, Betterment, Commitment, New Year, New Years Eve, Promise, Resolutions, Self Improvement. Bookmark the permalink. Good post, D-Kohne. I prefer to make a plan, instead of a resolution. I think most people run into trouble because their resolutions are too broad – “get in shape” “get organized” “get a promotion”. To me, the best way to make sure you accomplish your larger goals is to narrow the focus to specific things you can do every day that contribute to the big picture objective. Make those small, daily changes your resolutions, then take stock at the end of the year and see if they helped you get closer to where you want to be. 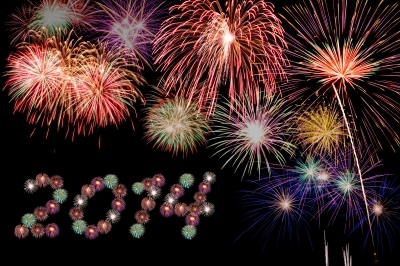 Happy 2014!